Thank you for looking into our dress code. At DPU, we strive for professionalism and training of the whole person. Our dress code assists in setting an environment of excellence in our everyday studio culture. Please see the respective classes below. Note: Please place your name in ALL shoes. Need appropriate dance wear? We no longer sell products within the DPU Dance Studio. However, we are excited to partner with local dance wear provider On Pointe Dancewear. 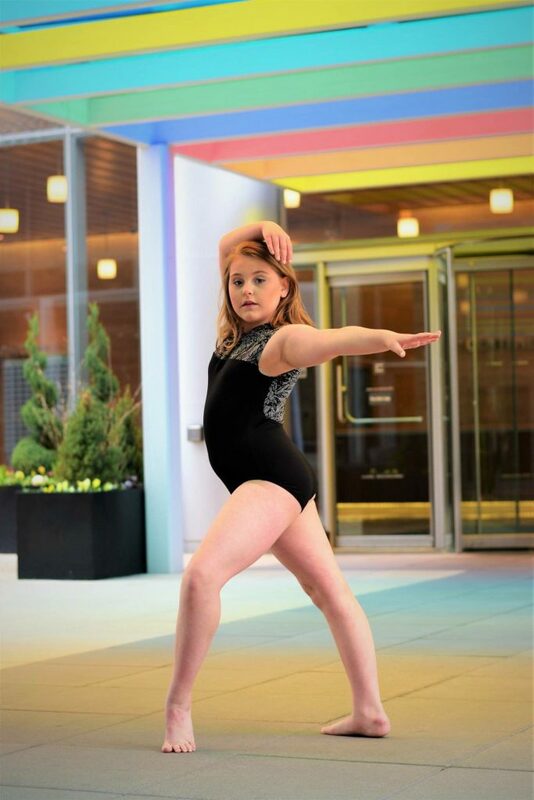 Future Stars & Twinkling Stars: We welcome any color of leotard and tights and require ballet and tap shoes. Hair should be secured back and no jewelry will be permitted in class. Rising Stars: We welcome any color of leotard and tights and require jazz and tap shoes, hair should be secured back and no jewelry will be permitted in class. Bright Stars & Shining Stars: We welcome any color leotard and tights but they may wear leggings, booty shorts, crop tops, etc – no loose fitting t-shirts or street clothes; we require tap and jazz shoes. Hair should be secured back and no jewelry will be permitted in class. Junior/Teen/Adult Classes: We welcome dancewear of different varieties such as but not limited to: crop tops, leggings, booty shorts, tighter athletic wear. No street clothes are permitted in class; please always wear undergarments under tops and bottoms. Hair must be secured back and no jewelry will be permitted in class. Junior/Teen classes will differ in shoes based on style – tap, ballet, jazz and tennis shoes may all be used in classes depending on style chosen. Ballet: Black leotard, pink tights, pink canvas ballet shoes and hair secured tightly in slicked back, proper bun. Failure to abide by dress code after first warning will result in student being asked to sit out of class. Acrobatics: Leotard with either tights, booty shorts or leggings, hair must be secured back and no jewelry. *Must have on bottoms if only wearing leotard. Poms: Dancewear of different varieties such as but not limited to: crop tops, leggings, booty shorts, tighter athletic wear, etc – no loose fitting t-shirts or street clothes; jazz shoes will be worn in these classes. Contemporary: Dancewear of different varieties such as but not limited to: crop tops, leggings, booty shorts, tighter athletic wear, etc – no loose fitting t-shirts or street clothes; no shoes required but may wear pirouettes or contemporary socks. Hair must be secured back and no jewelry.